The project consists of EL 8095 Advene, located approximately 320 km northwest of Canberra. The licence was secured to explore for intrusion-related gold systems (IRGS) and orogenic gold systems (OGS). 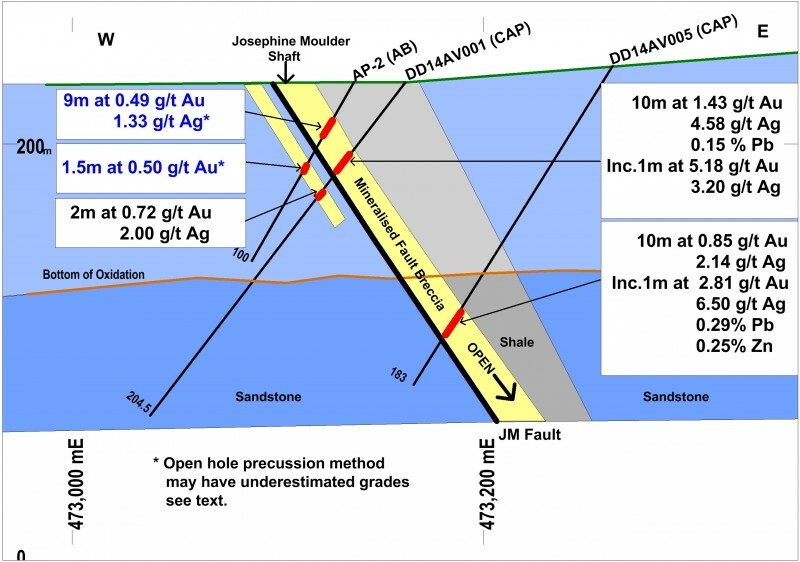 Specifically, target mineralisation styles are pipe- or sheet-like gold and base metal deposits located in the margins or roof zones of buried granites and orogenic sulphide fault replacement gold lodes. EL 8095 contains the Advene mineral occurrence, historically known as the Mount Wilga Mine and Josephine Moulder Mine. 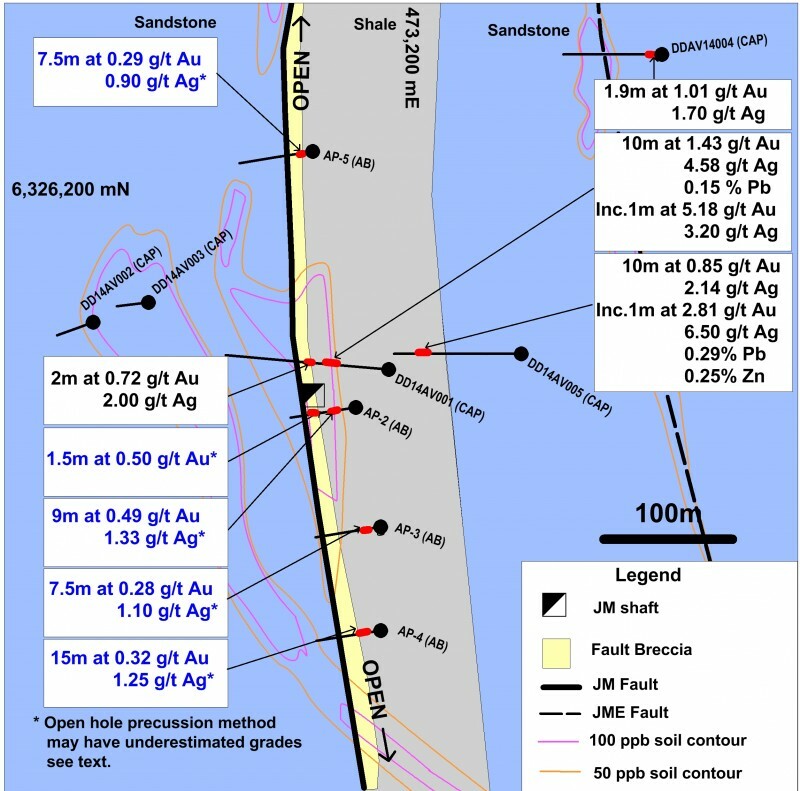 At the Josephine Moulder Prospect at Advene, Carpentaria discovered a previously unknown soil anomaly with gold concentrations up to 1.50 g/t. 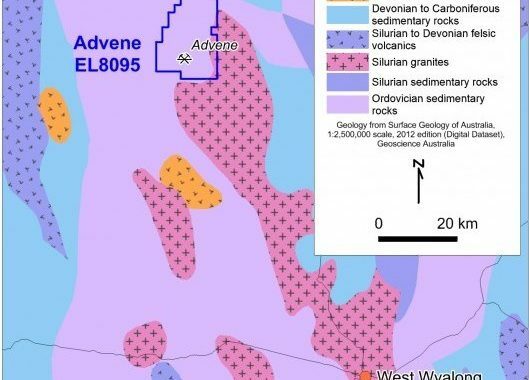 Diamond drilling by Carpentaria returned 10 m at 1.43 g/t gold, 4.58 g/t silver and 0.15% lead from 45 m, including 1 m at 5.18 g/t gold and 3.2 g/t silver from 54 m..
Due to Carpentaria’s focus on its flagship Hawsons Iron Project, the Company is seeking investment in these gold projects, which are underexplored and show significant exploration potential.